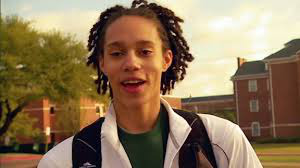 Top WNBA draft pick Brittney Griner said in an interview with ESPN Magazine that, as a standout for Baylor University, she was encouraged not to discuss her sexuality, because it could hurt recruiting. Griner, while perhaps the most prominent, is far from being the only college athlete to experience discrimination over her sexual orientation. According to a report released last year by Campus Pride, 18 percent of LGBT student-athletes experience such hostility and exclusionary or intimidating treatment from others at school that it affected their ability to work and learn on campus. Fifty-one percent of these students said they were deliberately excluded or ignored, and 25 percent reported being pressured to silence their sexual orientation. Anna Aagenes, executive director of the LGBT sports advocacy group Go! Athletes, says this type of “negative recruiting” is something that unfortunately happens around the country. Recruits are told “Oh, you don’t want to go there, there are lesbians there,” in an attempt to sway their decisions away from particular schools. “This definitely is not an isolated mindset,” Aagenes says, citing an overt “no drinking, no drugs, no lesbians” policy enforced by former Penn State basketball coach Rene Portland, but she says that the behavior and attitudes on LGBT athletes really vary from campus to campus. “The University of Cincinnati is committed to celebrating and supporting LGBT athletes everywhere. As a student-athlete at UC, you are not judged by your sexual orientation, gender identity or expression, but by the spirit you bring to the game, the support you bring your teammates, and the dedications you bring to UC,” says Bearcats athletic director Whit Babcock on the school’s “You can play” video. At NYU, the students are leading the way on LGBT acceptance, and administrators are willingly following along. While other teammates are discussing their social lives and hanging out, LGBT students who do not feel comfortable coming out may feel excluded from the conversations. “When your team is your family, it’s sort of devastating to have to separate those two worlds,” Aagenes says. She says it is essential for coaches and administrators to facilitate an inclusive environment. “Coaches and administrators could all do themselves a favor by becoming more familiar with LGBT issues,” she says.